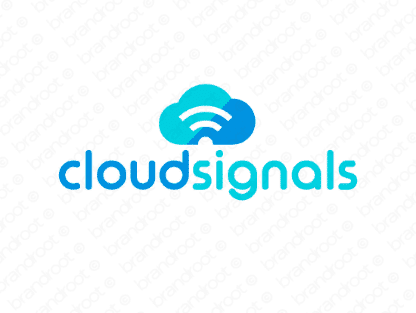 Brand cloudsignals is for sale on Brandroot.com! An airy take on the word "cloud" that's tied into the digital realm. Cloudsignals is a sleek technology focused name that's perfect for cloud infrastructure services and businesses offering server-side support. You will have full ownership and rights to Cloudsignals.com. One of our professional Brandroot representatives will contact you and walk you through the entire transfer process.